A small Egyptian ISP that continued sputtering along after the government ordered Egypt off the internet Friday is now offline. 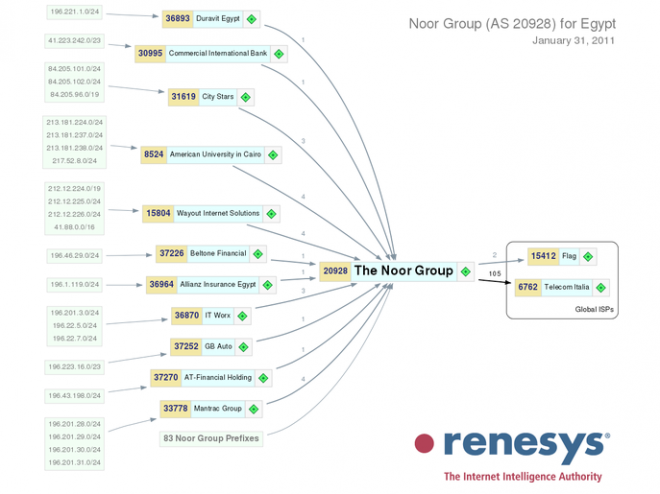 Security researcher Renesys said Monday the Noor Group, believed to be the last Egyptian ISP in operation, had provided access to the aviation, banking and financial sectors — including the Egyptian stock market. “They are completely unavailable at present,” Renesys wrote of the ISP. The Egyptian net began going out Friday as Facebook, Twitter and other online forums helped fuel large-scale protests against President Hosni Mubarak’s 30-year rule. Mobile-phone communications have also been shut down. Egypt has also closed Al Jazeera’s office in Cairo, arrested a half-dozen of the news outlet’s reporters, and seized their equipment. Giving gifts for Chinese New Year is a traditional custom, not only for families but also for businesses to show their gratitude to customers. While everyone is ready to welcome the Year of the Rabbit, spammers have already provided many holiday surprises for them. Chinese New Year is on February 3 this year, about half a month earlier than last couple of years. Spammers have also adjusted their attack schedule for the upcoming festival. Product and business promotion spam have been observed since last December. Most attacks have customized the ‘From’ line alias and use promotional ‘Subject’ lines related to Chinese New Year. The following two samples are medical product promotions with a customized ‘From’ line and have a subject line related to the occasion. Typical options are wine and gift cards… It’s time to change now……! Healthy and luxury products - Vit Number 1 coming up this year…..
1. Owners with more than 10 million dollars in assets! 3. Second generation individuals from wealthy families, governors’ families, etc! Subject: Chinese New Year is coming up! What kind of gifts are you getting for your parents (AD)? Chinese New Year is coming up! What kind of gifts are you getting for your parents (AD)? Please add me QQ<Details Removed> Or mobile<Details Removed> ! Next is a food product promotion with links advertising known auction sites with randomization inserted in ‘Subject’ line and ‘From’ alias. The links in the body take you to the spammers' promotional products on the auction site. This email is sent in HTML format. If you can't view it, please click on the link or copy the URL link and open it. The last sample is for a sale on software; the business sent unsolicited promotional mail for Chinese New Year. Subject: [Details Removed] Shop sales of 40% OFF before Chinese New Year! Valentine’s Day brings excitement for celebrating love and affection between dear ones. Spammers are gearing up for Valentine’s Day with several offers like product spam, gift cards, personalised cards, and financial spam. Symantec has been observing Valentine’s Day-related spam since early January and we have recently seen a spike in product spam related to the event. Spammers promoting fake product offers at discounted price and the URL mentioned in the message redirects the user to the spam Web page which asks for personal information. We are also observing interesting phishing attacks based on the Valentine’s Day theme. The domains used in phishing attacks resemble the name of the event. Last year’s statistics show that product spam was the most popular spam tactic. Continuing that trend, we expect product spam to remain the most dominant compared to other spam categories. Symantec advises our readers to be cautious when handling unsolicited or unexpected emails. Updating antispam signatures regularly helps prevent personal information from being compromised. We at Symantec are closely monitoring the Valentine’s Day spam attacks to keep our readers updated. Note: Thanks to blog contributors, Anand Muralidharan and Amit Kulkarni. The lawyer representing a hacker who published the first major PlayStation 3 jailbreak on the internet said Sunday he would challenge a federal judge’s order requiring his client surrender his computer gear to console-maker Sony. New Jersey’s George Hotz, well-known in the jailbreaking community for unlocking the iPhone and other exploits, had published the jailbreak code on his website and on YouTube a month ago. The judge’s Thursday ruling (.pdf) did not sit well with Hotz’ attorney, Stewart Kellar of San Francisco. Within days, Kellar said he would petition U.S. District Judge Susan Illston to reconsider her ruling — which came in the form of a temporary restraining order requiring Hotz surrender the equipment next week. 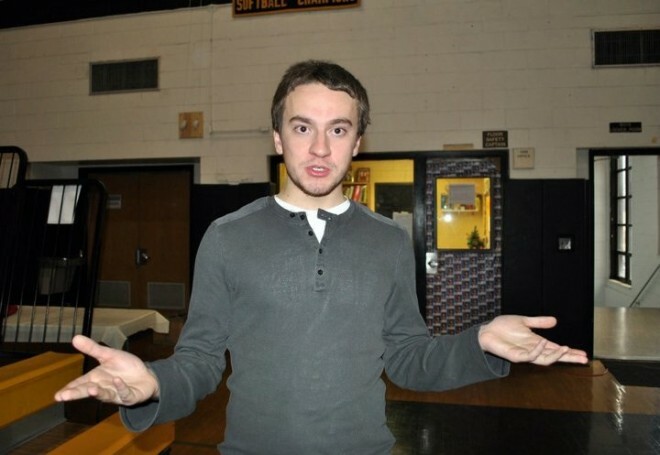 Hotz, he said, has already abided by Illston’s decision ordering him to remove the code from his website and YouTube. That said, the code has spread like wildfire. Yet Illston appears to be ordering Hotz to make sure all the code is eliminated from the net. Kellar said that was impossible. “Mr. Hotz can’t retrieve the internet,” he said. Hotz, who goes by the online handle “Geohot,” accessed the so-called “metldr keys” or root keys that trick the PS3 system into running unauthorized programs, like pirated or homebrewed games. It was the first, full-scale root-level firmware hack of the console. Sony, in its lawsuit, alleged the console jailbreak breached the Digital Millennium Copyright Act and other laws, and would eat into game sales for the 41 million PS3 units sold. Illston agreed that Hotz’ activities likely violated the DMCA, and made her order pending more litigation in the weeks-old case. The DMCA makes it either a civil or criminal offense to traffic in wares meant to circumvent devices protecting copyrighted works. Ironically, performing a similar hack on a mobile phone is lawful. The U.S. Copyright Office exempted cell phone jailbreaking from being covered by the DMCA. “At the heart of this whole issue is whether you truly own the device you purchased,” Kellar said. Illston also tentatively agreed with Sony’s complaint that Hotz likely breached the Computer Fraud and Abuse Act by acquiring unauthorized access to the game console, access that Sony forbids. That act, too, can be either a civil or criminal violation. It was unsuccessfully used to prosecute Lori Drew in the country’s first cyberbullying prosecution in 2009. Sony, which is seeking unspecified monetary damages, has just released a firmware update designed to nullify Hotz’ code.